The Malayalam Channel Surya TV is Announced a New Malayalam Television Mega Serial, Sangamam. This Serial will start very soon on Surya TV, We Will Update the time of telecast and other details soon here. Sangamam Television Serial is Based on the Novel ” Ila Pozhiyum Shishiram ” Written by Joycee. Ila Pozhiyum Shishiram Novel published on Malayala Manorama Weekly a long ago. Ila Pozhiyum Sisiram Telling the story of George Thomas and its in the backdrop of Kuwait War. Boban Alumoodan is playing the main role in the serial Sangamam. 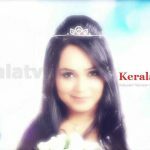 Surya TV recently started a new serial named Sneha Jalakam. Cast and Crew of Sangamam Serial will be updated here soon. We are publishing the images of the Sanmagam Serial Actress and Other Stills. Surya TV also started a new program named Ithanu Njanga Paranja Nadan a few weeks back, its creating tremendous response from all over.